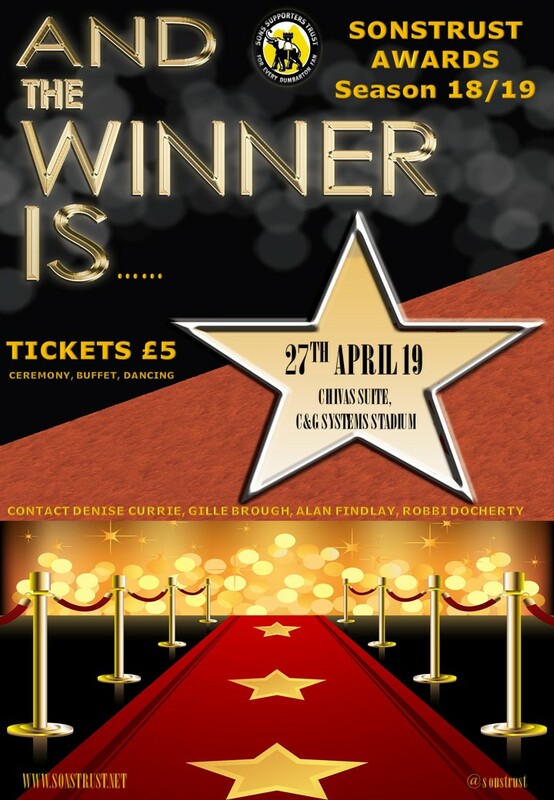 DON’T forget to get your awards night tickets to make sure that the event goes ahead. Trust member Denise Currie, explained. “The end of season event has always been a special night for fans. The fact that the club is away from home for the actual last game of the season at Arbroath meant that we had to use the week before for the event – it’s not ideal and time has been short in getting things organised. “It’s usually a great night and we want to try and emulate previous events to generate much-needed fun and laughter. “It’s been a tough season but despite that, we as fans feel we should try all we can to get the night well attended. “There will be the usual awards to be presented – Sonstrust young player, Sonstrust player of the season, top goalscorer and our two fans awards. We will have a food option, plus the usual disco afterwards. 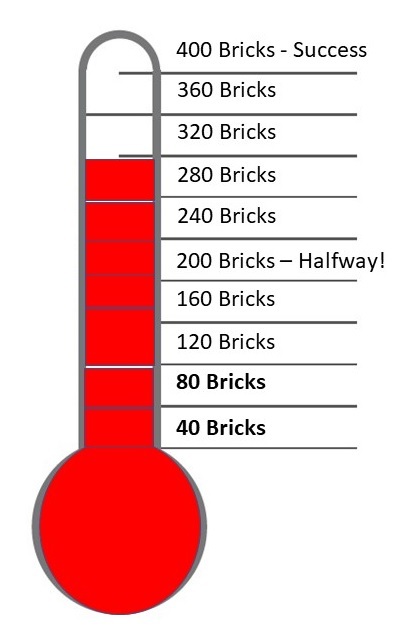 We are delighted to announce that our Fundometer (Brickometer) total now sits at 300 bricks sold meaning that we just need 100 mre to reach our initial target. There is space for two lines of text – 16 characters per line. Contact Jordan using jbrownlee@dumbartonfc.co.uk to give him your intended wording. Turner Prize-winning artist and local lad Douglas Gordon is backing our Engraved at The Rock buy-a-brick initiative. Douglas is a Son of the Rock and attended Dumbarton Academy before studying sculpture and environmental art at the Glasgow School of Art. He won the Turner Prize in 1996, the Premio 2000 at the 47th Venice Biennale in 1997 and the Hugo Boss Prize in 1998. Our usual booking procedure applies – 2 ways! DUMBARTON FC is inviting supporters to become part of the stadium fabric with an initiative aimed at funding important infrastructure repairs at the C&G Systems Stadium. For just £20 fans can have their name, the name of a family member and/or a message of support etched on a faux brick wall to be installed within the home concourse, visible to all on match days. 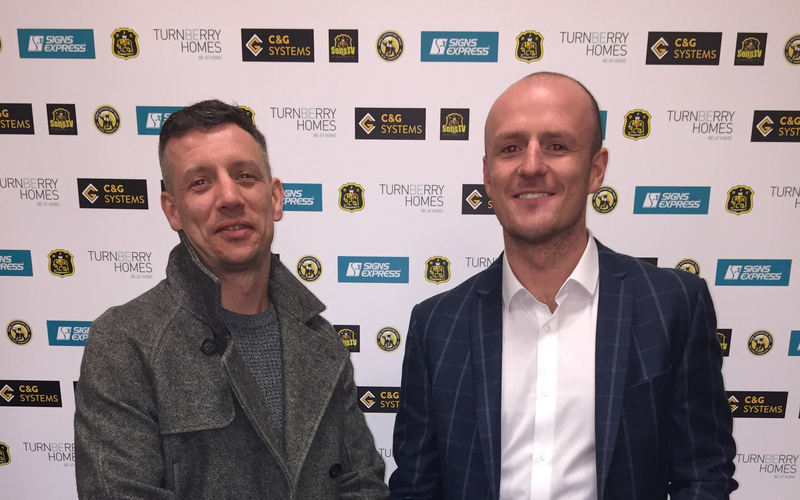 Sonstrust member and initiative Project Manager Jordan Brownlee said: “We are excited to announce a fantastic opportunity for fans to have their name ‘Engraved at the Rock’ at the C&G Systems Stadium. “As everyone is aware, the stadium is in need of some much-needed repairs and this is a great opportunity for supporters to help at little cost but with a lasting legacy. “We’ve been working with Graham (Casey) at Signs Express Glasgow to come up with a feature that will not only look pleasing but will give supporters who contribute something to be proud of. “Our target is fairly modest. We are looking to sell 400 initially, but in reality, the more the merrier. “We have to start looking after ourselves and I’d urge Sons fans far and wide to contribute. It’ll make a great present too and we will be able to give a certificate of authenticity for each purchase. “On the actual wall itself, we’ll be in a position to have it installed as soon as it’s practical to do so. The text is limited to two lines per ‘brick’, however, there is no limit on the number of bricks fans may purchase. A certificate of authenticity shall be issued as proof of purchase and of your continued support of the club. To place an order fans are invited to contact Jordan Brownlee by email jbrownlee@dumbartonfc.co.uk or via phone by calling 07702911891. Or download our flyer/order form here and send to the Sonstrust at the C&G Systems Stadium. All cheques made payable to The Sons Supporters Society. ALL the very best to Revolution Catering and Events (RCE) who have taken over catering at Dumbarton FC. 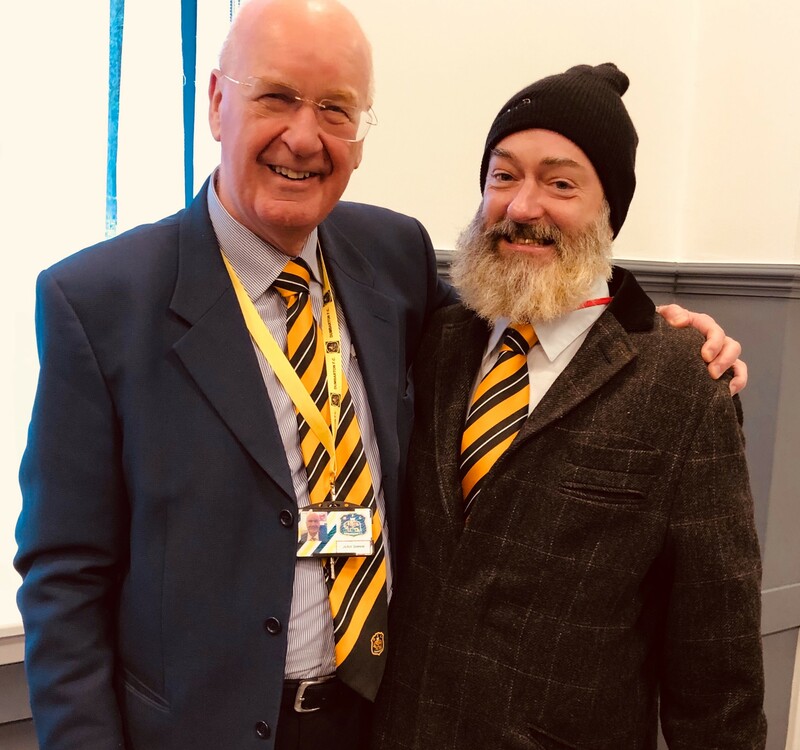 We wish Andy and John Ross well (pictured above) as they try to get events and functions for regular income for Dumbarton Football Club. We urge all Sons fans to support them in their efforts which will ultimately be beneficial for the club. Contact the guys using email – events@dumbartonfc.co.uk – with ideas, requests or bookings. Welcome to the #sonsfamily lads!